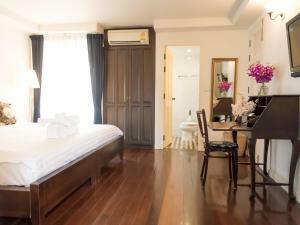 SSIP Boutique Dhevej Bangkok offers retro-inspired rooms with air-conditioning and free Wi-Fi. Guests enjoy free tea and coffee all day at the lobby. This boutique hotel is equipped with a 24-hour front desk. This colonial-style hotel is a 5-minute walk to Thewet Pier. It is 10 minutes from Grand Palace by car or boat. 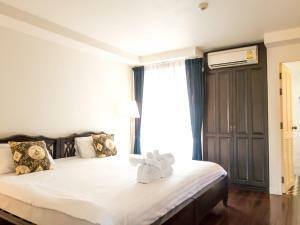 It is a 10-minute walk to Vimanmek Teak Mansion and a 15-minute walk to Khaosan Road. Suvarnnabhumi Airport is a 45-minute drive away. Fitted with hardwood floor, rooms at SSIP Boutique Dhevej are furnished with charming decor to provide a retro vibe. It has a flat-screen TV, a safety deposit box and a refrigerator. An en suite bathroom comes with shower facilities and hairdryer. Please note that children under 8 years old or younger are not permitted at this property. Please note that the maximum number of guests per room is 2 persons. Larger air-conditioned room offer a view of the garden. It has a flat-screen TV, a safety deposit box and a refrigerator. An en suite bathroom comes with free towels, hairdryer and shower facilities. Rate: THB 2133.60 ... THB 3000.00; select dates below to get current rates. Air-conditioned room has a flat-screen TV, a safety deposit box and a refrigerator. An en suite bathroom comes with free towels, hairdryer and shower facilities. 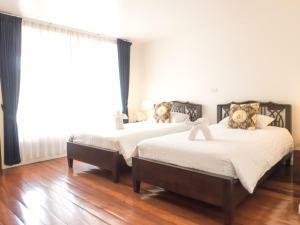 Rate: THB 2133.60 ... THB 2875.00; select dates below to get current rates.